As I’ve said before, I’m going to Denver Comic Con this year. We’re getting closer and closer to the con, and I’m going to be ramping up coverage of the con and my preparations for it here on the blog. To kick off my DCC coverage, I thought I’d bring you up to speed on the official beer for the con. It’s kind of fantastic. 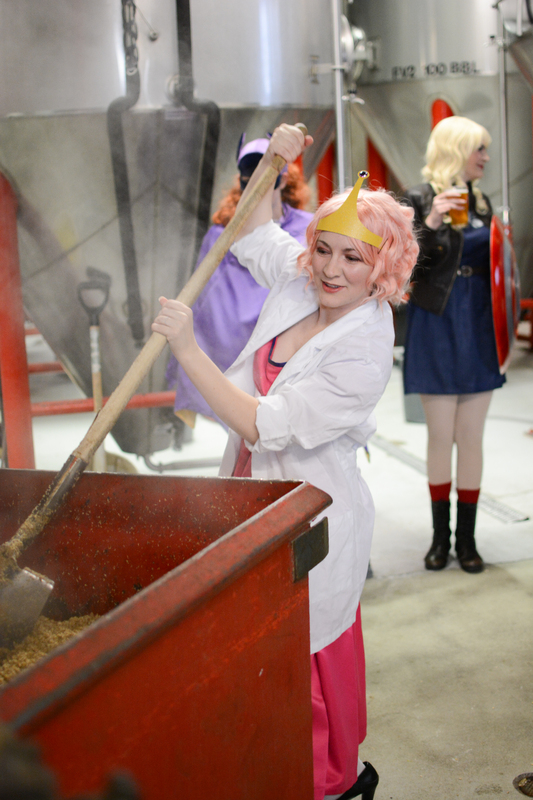 And, because this is a beer for geeks, by geeks, the official unveiling of the 2015 con beer was chalk full of some pretty rad cosplay. 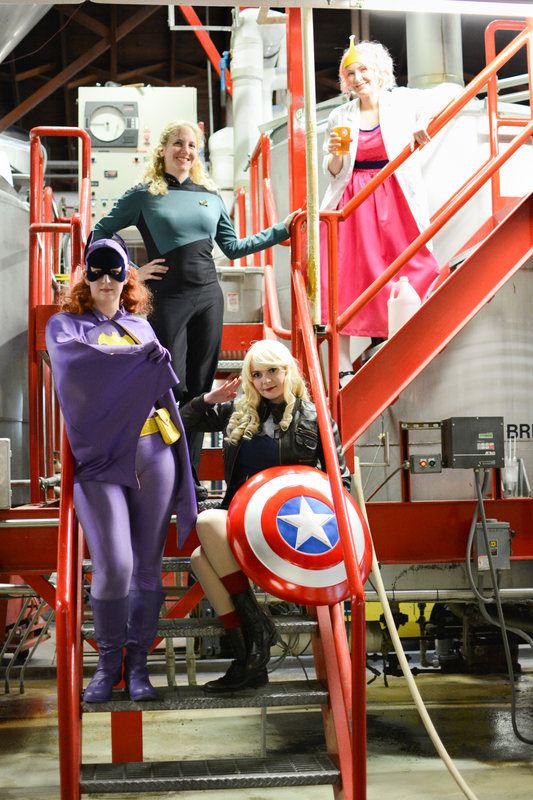 DCC partners with Breckenridge Brewery to provide the official con beer, and this year’s official convention beer is called Hulk’s Mash–because what else would you call the official con brew? 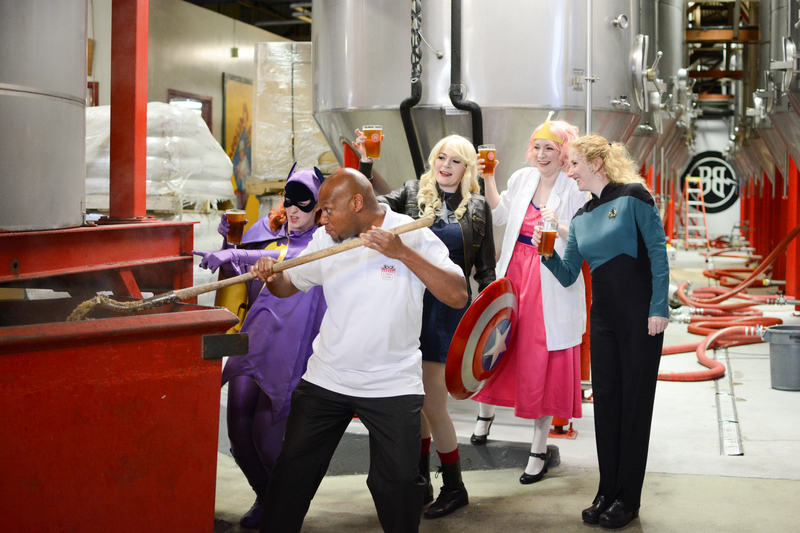 Hulk’s Mash will be available at select taps around Denver in the weeks leading up to the con, and will of course be available for con-goers over the convention, which is May 23-25. If you’re located around Denver, Friday, May 1, the 1Up on Colfax will host a Hulk’s Mash release party featuring DJ N810, DJ Carmello, 90’s cover band The Gin Doctors, and the last show ever by Total Ghost. The first 200 to attend the release party receive a free pint glass. Hulk’s Mash is a pretty awesome name for the official convention beer, amirite? But how does Breck Brew manage to nail down the name? 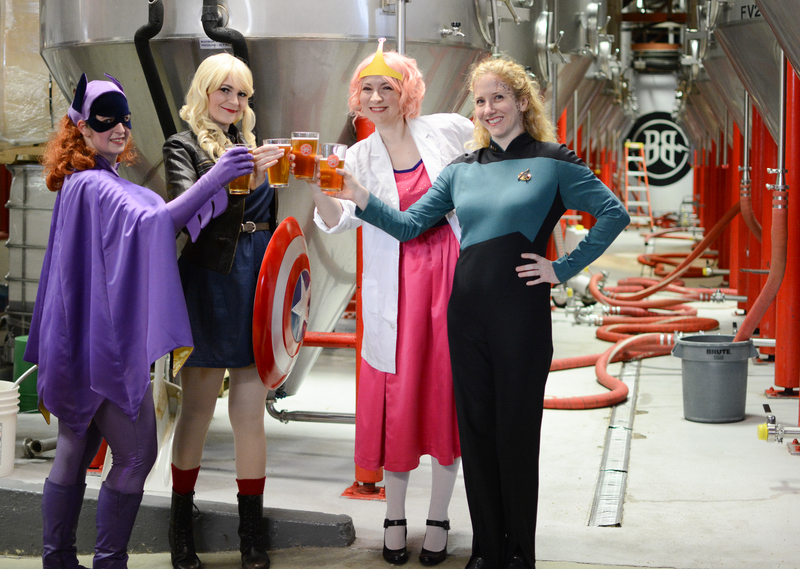 Every March, Breckenridge Brewery hosts an online “Name the Comic Con Beer” contest. This year 700 entries were received, and five finalists were chosen. Those five names were put to a public vote. “Hulk’s Mash,” the clever conception of Jonathan Cooper, rose to the top and became the honored 2015 Comic Con beer name. New this year was the label artwork contest, sponsored by Rocky Mountain College of Art + Design (RMCAD). Students at RMCAD were invited to create label designs for Hulk’s Mash, and artwork by Trevor Plaza was chosen to adorn limited-edition commemorative pint glasses. If you’re just as excited about the commemorative pint glasses, you can buy them at the con, and at select Denver pubs (while supplies last, of course). You can grab yourself some Hulk’s Mash before the con in Denver at Breckenridge Colorado Craft, Hard Rock Café, Hyatt Regency, Marlowe’s, Paramount Café, Pizza Republica, Tarantula Billiards, The 1up (Colfax and Lodo locations), Tilted Kilt, and World of Beer. Are you going to Denver Comic Con this year? If you are, let me know in the comments! I’d love to see you there! If you haven’t already, be sure to buy your tickets–they’re going fast! I don’t even drink, but I think this is a clever marketing partnership! Hehehe.. Princess Bubblegum. Jonathan Cooper – the Hulk’s Mash namer – … I’m sorry I didn’t see the post sooner!!! We (my wife Nikki and I) weren’t able to make Comic Con from Philly but we’re expecting some glassware coming our way from Breckenridge. Hey! Thanks for commenting! It’s too bad you weren’t able to make it to DCC. Great job with the name; I thought it was great! It also tasted great as well! 🙂 Enjoy your con glassware!